How it works. Apply for the best merchant services, get great rates! 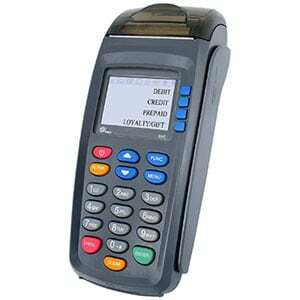 Apply securely online to get the best rates and to receive your free VX520 EMV credit card terminal from Harbortouch. Get approved fast for a merchant account to accept credit cards with no up-front costs and no hassles! Make life easy by accepting credit cards payments with low rates, free equipment, and 24/7 support. Why Our Merchant Service Company? Affordable Merchant Solutions and Easy to Use POS Systems! Houston Merchant Services has partnered with Harbortouch to provide affordable and reliable merchant solutions for all business types. 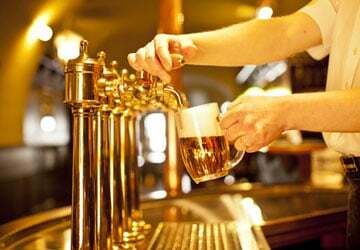 We offer point-of-sale solutions and the best credit card processing rates for bars, restaurants, retail stores, hospitality, salons, services industries, and so much more. 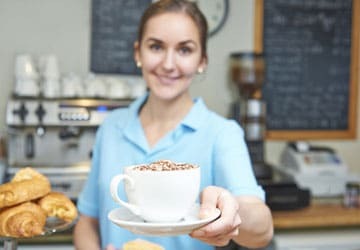 If you need to accept payments or need a local Houston POS system provider to help you run your business more effectively and efficiently, we’ve got you covered. 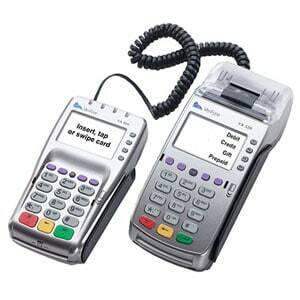 Accept smart cards (EMV) with the Verifone VX 520. Take Apple Pay, Google Wallet or other NFC payment types and apps. Take credit card payments on-the-go, anywhere, anytime, with a Harbortouch PCI-compliant wireless payment terminal. 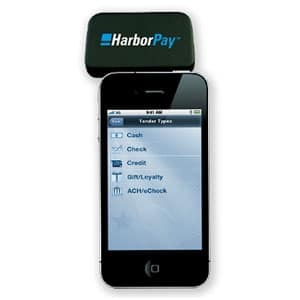 Accept mobile payments with HarborPay. Get a free, secure, audio jack reader and mobile payments app for most platforms. If you need an easy way to accept cash and credit card payments, with Harbortouch’s Casio ECR (Electronic Cash Register) you can manage all payments through a single register system with an integrated credit card terminal. Perfect for small to medium sized retail customers including gift shops, convenience stores, liquor stores, kiosk stands, dollar stores, cafes, specialty stores – hobbies, pets, etc. 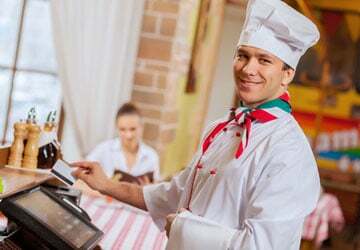 You don’t have to spend thousands of dollars out of pocket for a new POS system in Houston, TX. You can get a brand new Harbortouch touch screen point of sale with merchant services for your restaurant, bar, retail store, salon, or hospitality business with no up-front costs. Systems starting at only $29 per month! Finding a trusted and reliable merchant account provider in Houston, Texas can be a challenge. When shopping for merchant services, it’s always best to talk to multiple dealers and to get several rate quotes to make sure you’re getting the best deal. But calling a bunch of different providers can be time-consuming and frustrating. For that reason, we’ve created a straightforward and easy service to give you our best-advertised rates right off the bat with no negotiations needed. By using our free no obligation service, you leverage your purchasing power, and we work for you to get you the best credit card processing rates possible! Find a lower rate? Let us know, and we’ll match or beat it (for new customers only). There are a few key features to ask for when choosing a processor, like fast processing, quick payment funding, competitive rates, secure transactions, choice of point of sale systems or iPad POS, and device selection flexibility to take mobile payments. Banks can’t even match all the features we have available. EMV Chip Card Technology has arrived. Is your business ready? The liability shift for counterfeit transactions entered into force October 1, 2015. 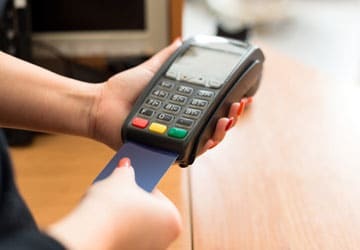 Merchants who have not invested in chip-enabled devices may be held financially liable for in-store credit card fraud. Houston’s best merchant services makes it simple for you to meet the new EMV standard. Just fill out our questionnaire, and we can help with solutions to integrate your touch screen POS or help you get the proper EMV terminals you need to be PCI compliant. We are a prestige total merchant service provider for the best credit card processing in Houston, Texas and all of the USA. When searching for comprehensive merchant solutions, you’ll want to make sure you’re getting reliable, fast, and PCI compliant devices at the best merchant provider rates available. Additionally, you’ll want to ensure you’re getting competitive interchange plus pricing with accelerated funding options, including next day and same day funding. 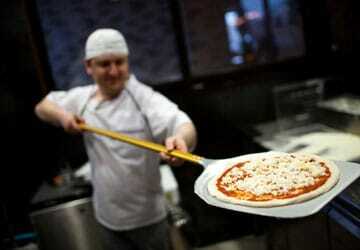 It’s also recommended to work with a provider that offers gift cards to help grow your business. Do you need a stand-alone credit card terminal to accept credit cards or a fully integrated point of sale solutions? We offer the latest in credit card terminal technology, including EMV (Chip-and-PIN). 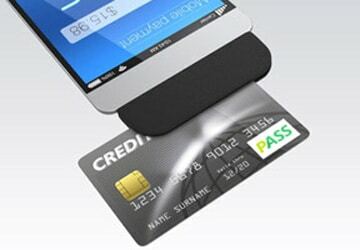 Do you need to accept mobile payments? Mobile readers or a virtual merchant terminal may be the answer. Receive payments “on-the-go” with any mobile device including iPhones, iPads, and tablets. It’s smart to secure a backup payment method if your systems are ever down. 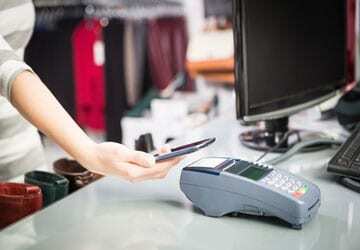 Mobile payments can be a great backup plan for your point of sale or credit card machine if they go down during busy times. 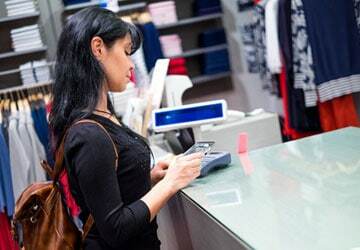 With the best merchant services in Houston, if you need a merchant account or point of sale solution, we have the latest technology available to you with no up-front costs. We now offer free POS system hardware and software by Harbortouch; you can learn more about the different system types at the Harbortouch POS website. With all the different options for you to choose from, how do you pick the best pos system for your business? First of all, you need to make sure you have all the features you need for your business type at a price that is affordable. There are so many systems on the market that cost thousands of dollars when it might not be necessary for you to spend that much out-of-pocket money. That’s why Houston Merchant Services has partnered with Harbortouch. Our passion is discovering your business needs and finding the perfect POS software and hardware solutions for you. With a comprehensive line of products, we are capable of covering the gamut of business types not matter how large or small. We offer point of sale terminals starting as low as $39 per month. And we also have cash registers for free! How’s that for affordable? 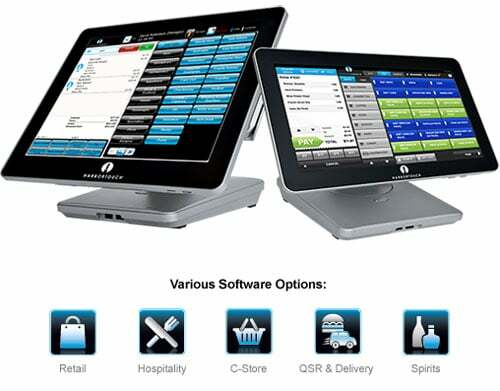 We have Houston POS solutions for all business types with touchscreen systems like Harbortouch point of sale systems for bars and restaurants, small business, retail, QSR, salons, and spas. Contact us to get the most affordable solutions for your business. If you’re looking for a local Harbortouch dealer to work with or another reputable POS reseller, we can recommend this POS system company if you also have a location in the Dallas, Fort Worth (DFW) Metroplex. Our merchants span the greater Houston, Texas area including Pasadena, The Woodlands, Baytown, Galveston, Texas City, Missouri City, Conroe, Lake Jackson, Pearland, Deer Park, La Porte, Rosenberg, Friendswood, League Sugarland, Corpus Christi, and throughout the United States. With an unyielding commitment to our customers; there is no need to worry about customer support anymore. With tens of thousands of customers, you cannot go wrong with our credit card processing services and point of sale solutions. Check out what a few Harbortouch customers have to say. Join The Satisfied Houston Merchant Services Customers! *Our online advertised rates are subject to credit approval. Rates may vary depending on your credit history. 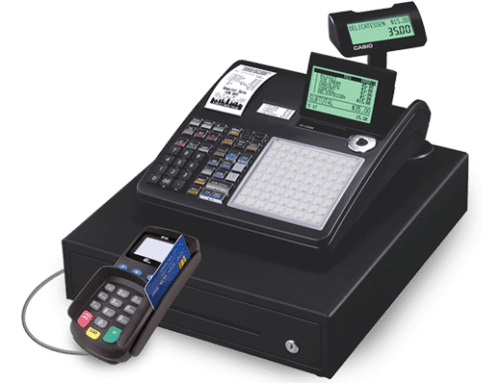 Harbortouch’s free equipment/POS system and free hardware replacement offer requires a Service Agreement and a Merchant Transaction Processing Agreement. For complete details, please see Harbortouch’s Terms and Conditions. Shipping costs apply for all equipment. 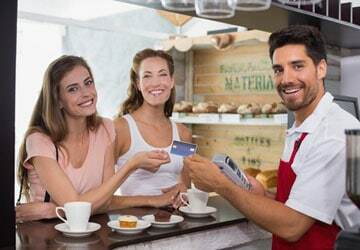 Houston Merchant Services specializes in credit card processing services by connecting buyers and sellers with our unique pricing and dealer locator tool. We match merchants with affordable merchant processing services in the Houston, Texas area.